I love you to the moon and back is that all loved saying which perfectly represents how we feel about that special person. A card designed beautifully, with watercolours, typography and romance. You loved one will not be disappointed when they receive this! You are my Rainbow is inspired by the Rainbow Lorrikeets who regularly visit my garden, and also by my very own Rainbow, a man who has been there through the worst and still shines brightly! You make my tHorny! Sometimes the romantic card just doesn’t cut it! but this card does! its a fun and slightly naughty play on words, teamed with an awesome watercolour cactus painting… perfect for gifting your loved one this year. Working with linework and patterns, this gorgeous design showcases the stunning Christmas deer. Combined with Christmas colours and vibes, this is the perfect card to send your Christmas wishes. Village life at Christmas is based on my mothers English village of Gunnislake, in Cornwall. Covered in a blanket of snow, this card really gets you in the mood for the festive season! Poppy is a multi award winning artist lending her wonderous talents to the wedding industry, Poppy creates astounding wedding stationery as well as stunning commissioned pieces. You can now learn from the master herself! Have you been following iampoppy designs and watching Poppy create magnificent work, maybe wishing you could too? Perhaps you have always wanted to dabble or expand your painting skills! The workshop will be held in Poppy’s new studio located at Mo’s Desert Clubhouse in Burliegh Heads. This eclectic creative space oozes inspiration, talent and good vibes! The main warehouse features a gorgeous painted wall, with elements of creativity all over the space. Learn how to create gorgeous watercolours with friends and laughter. The massive warehouse doors allow ample light, allowing us to make the most of these summer days! To make this experience that much more enjoyable, we encourage you to BYO drinks, and of course friends, to learn how to paint, amongst great music, laughter, sunshine and buckets of creativity! we are going to make some Ahhhh-mazing pieces together! 3 hours of tuition into how to create a simple watercolour painting. Light refreshments available including share platters. Watercolour booklet to take away, allowing you to take your knowledge home for future reference. Basic watercolour equipment to get you starting your new creative journey!! A gorgeous guestbook with a custom engraved wooden cover. The inside has 40x 300gsm pages for plenty of room for your guests to write their personal messages and pop in any photos of notes they desire. Created in a light pine board, with either a world map or palm leaf design. The airplane path can be changed to suit your needs and the words are personalised for your wedding. Great to order for your own wedding or as a gift. To order, simply place your order and write your details in the comments section. Please state the names that you would like to have and the date of the wedding. If you would like to change the flight path, please also comment the cities you would like included. You will receive a proof via email, which you will need to confirm before we print. We then send it to our lovely laser cutting team who will engrave the piece especially for you! What do you gift a mumma to be? There is always so much out there for the baby, that sometimes poor mum gets left behind in an array of bottles, teats, jumpsuits, plush toys…. That is why we chose to include a few little treats in there for that amazing lady, so you can gift her with something for both mum and baby. Its the perfect little hamper to gift either at the baby shower, babies arrival or just when you’re feeling she may need a special treat! *If sending direct to the lucky mum, please email designs@iampoppy.com with your message for the card. Wow your guests with these beautiful and custom designed glass magnets. Your guests will not only be able to fit their favour in their purse (meaning they will actually take it home), but they will use it for years to come, no doubt, keeping those all important notes attached to their fridge! 2 inch diameter glass cabochon with a strong rare earth magnet capable of holding up a lot of those all important papers and photos! To order, simply select the amount you would like, and head to check out. iampoppy Designs will contact you straight away to get your design ideas, and wording, and send you a proof within 48 hours. A gorgeous watercolour design of bright colours creating a stunning invitation suite. Featuring hand lettering and complimenting typography. Need to see the product in the flesh? Then no worries, order your sample invite here. If there is a specific invitation you would like to sample, then comment in the name of the invite. If not, we will send you one from our many designs. A beautifully presented set of 24 unisex baby milestone cards, a perfect gift for a parent to be. Comes complete in a clear presentation box. 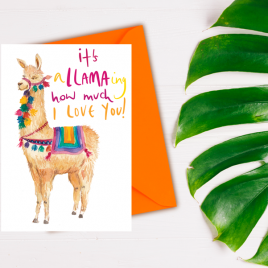 The cards each have a different hand drawn and water colour painted design featuring cute animals, flora and fauna, and intricate patterns. A truly unique set of cards. Capture your baby’s first year by photographing them with each card to mark their milestones. Printed on 100% recycled 300gsm paper, with rounded corners. Comes packaged with ribbon, all fitting into a white box with a clear top. Today I sat up on my own! Last night I slept through! Horrah! What a cute little gift to have at your wedding tables. Fill the jars with your choice of liquor and let everyone have a drink on you! The swing tags can be personalised to your wedding styling, and double up as name cards. It’s a great way to give whisky, rum, vodka or even your home made delicacies, without the bottle affecting the rest of the wedding styling. Choose the amount you would like. In the comments section, state which alcohol you would like. Hey, you could even mix and match! iampoppy will then contact you to discuss the swing tag design. “Will you be my Bridesmaid?” – The perfect little gift to ask those special ladies to accompany you down the aisle. With the ability to customise the box to your wedding style, this gives the perfect ‘sneak peak’ into what your wedding will be like. On ordering, please email designs@iampoppy.com to create your personalised box. Please allow longer processing times due to these boxes being customised to your wedding style. *Boxes can change subject to stock. Customise this simple Yellow Lilly Order of Service to meet your needs. Add your own hymns, poems, readings, and photos. Printed on quality coco linen 315gsm paper stock, folded and printed front and back. An elegant and beautiful keepsake of your loved ones passing. To add your details to the Order of Service, please email me at designs@iampoppy.com with your order number and we can discuss your personal needs. Customise these simple Olive branch Order of Service to meet your needs. Add your own hymns, poems, readings, and photo. Printed on quality coco linen 315gsm paper stock, folded and printed front and back. An elegant and beautiful keepsake of your loved ones passing. Set of four glass magnets, approx 1inch diameter. They are backed with strong rare earth magnets, making the strongest magnets on your fridge by far. Enjoy a little spice of art work in your kitchen, with these wonderfully unique and quirky blue fish magnets. This gorgeous Molly Walkies cushion is perfect for every little girls room. Featuring iampoppy’s loveable Molly character taking her out flamingo’s out for walkies. Cotton canvas, printed in iampoppy designs, and then hand stitched to create this quirky 40x40cm throw cushion. Each cushion comes complete with a high quality insert making them ready to put in its pride of place! Afro Love is one of my new designs from the recycled art collection. Adding a funky and colourful element to your fridge, these magnets are sure to be a talking point. Perfect as a gift for any occasion, as well as a treat for yourself. After all, you do deserve it! This print was inspired by long hot summers spent in the UK living with my best friend. Nothing was better than sitting in the park by Plymouth Hoe, sipping on our Pimms and Lemonade. Let the summer into your living room with this vibrant and summery lighthouse print by iampoppy.